It is recommended that you make a list of all family members that you can do possibly interview. Also, take into consideration other possible relatives that you could interview over the phone or via email, if you are not able to interview them face to face. But, first, ask for each relative's permission before you actually begin your interview. When your relatives have consented to being interviewed, let them know the outline of the topic that you plan to discuss with them. This is done just in case there is something that they do not want to talk about. Ask your relatives to provide details about their childhood, employment history, education, immigration experiences, and basic family history. Also, write about their specific personality and physical characteristics. When everything has been pinned down, confirm the actual interview dates. Conduct a Thorough Interview when you start the interview process, make sure you get the names, nicknames, place and date of birth as well as the place and date of marriage recorded on tape. Documents should be used as additional support for your interviews. These could be anything from birth certificates, marriage licenses, deeds, journals, baby books, pictures, naturalization papers or wills. When you conduct your interviews, be open minded as much as you can. Basically, become flexible and adjust your questions to each person that you interview. These particular tidbits can be worthwhile and end up being hidden treasures of information. But, at the same time, do not get sidetracked. Be as cordial as you possibly can be. A person's family history could be a source of stress for some people. Be respectful and compassionate is very essential when it comes to the thoughts and insights that your relatives might have. Do not forget that they might not be as excited as you are when it comes to going back down memory lane. Bring pictures to show your relatives because this might help them to remember things more clearly. Also, ask your relatives if they can think of any other relatives that you might be able to interview. Make sure that you take a long an audio recorder to capture information that you might have otherwise missed. But on the other hand, make sure that you continue to take manual notes. Remember that audio and video equipment could mess up at any time. The library can be your most productive resource for viewing older documents. The library is the best place to find obituaries, biographies, newspapers and other such source documents. The librarian can help you with your family search. The can also give some suggestions for other resources that might have important information about your family history. Conducting an online family search can be very helpful. 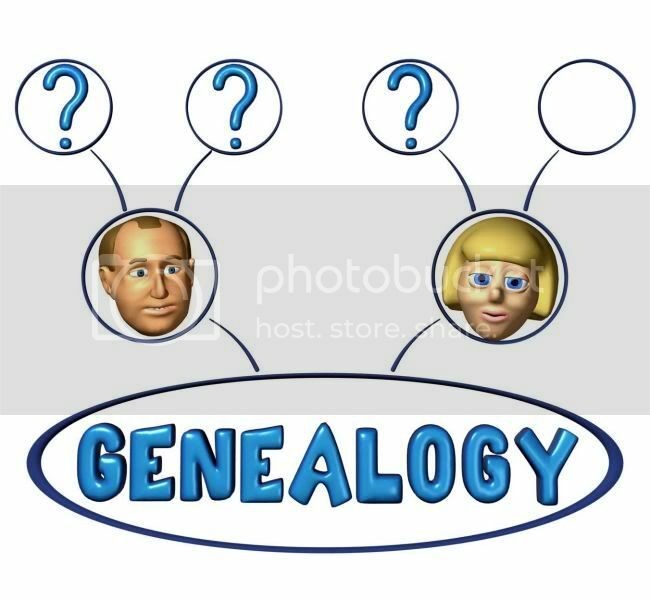 There are plenty of genealogy websites in existence in addition to various news media groups. When you think that you have as much information as you can muster, create group pedigree sheets that contain the general information about a wife, husband and children. This is the best way to start charting a family tree. Basically, being knowledgeable about your family genealogy and family history involves a lot of cumbersome search that might be filled will little hidden gems that could make you feel better about yourself and your family. If you like the human touch when you conduct free genealogy search, and access genealogy records of your family history then you have the option of physically going to the family history centers and looking through the microfilms. These are actually physical brick and mortar locations. They number up to three thousand and four hundred. You can look through all of the microfilms for civil records and marriage records. Once you find the correct microfilm, you can either write notes down manually or utilize a computer. Pedigree charts, family clan data, and other forms of this type can be found at one of the many different family history centers or on the internet. Various centers now are equipped with compact discs that can make your family search much simpler. The cordial LDS staff, who volunteers, is always there to help you. So, it does matter if you know what you are doing on the internet and want to conduct your own searches or you just want to be around others who are searching for their family history, working with genealogy on the internet can be very rewarding. Do not consider this to be tedious work. Have a get it done approach. Being able to say who you are and where you originated could very well help you to see yourself in a better light.